Would you like to create, organize and automate your own in-house dental savings plan and patient store? Imagine having the ability to allow your patients to buy dental products directly from your own web store? You could even offer customized dental savings plans and drive more engagement than ever! If this sounds like something you’d be interested in, make sure to watch this short video where I speak to Tom Comerota from Dental Stores about his comprehensive E-Commerce solution that enables dental practices of all sizes to build and operate an online store for their patients. With a patient store, you can help patients get the care they need at home or in the office. You’ll also receive up to 48x on your return on investment while offering a complete patient experience without the upfront expenses. Plus, you can manage all of your patients’ purchases from a single online portal – it couldn’t be easier! Stick around until the end of the video to hear about Tom’s fantastic Nifty Deal to help you launch your own dental store for less! 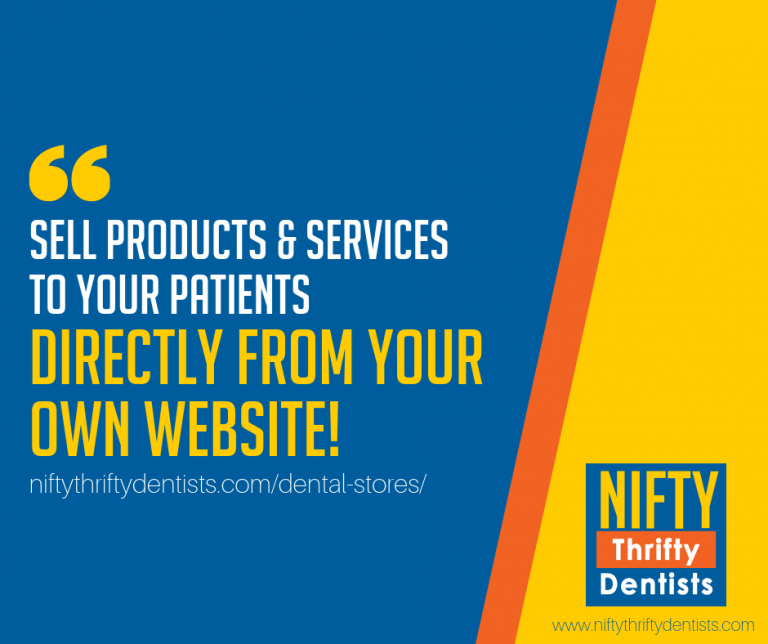 Want to launch your own dental store for your practice? Dental Stores are offering an incredible Nifty Deal of 20% OFF your monthly service for LIFE with a setup fee of just $399! Mobile App storefront – take advantage of smartphone enabled features! Compatible with iPhone, Android, Windows and more! This post contains affiliate links, which means we receive a commission at no additional cost to you. The funds we receive are small and go towards running this site and our podcast. For more information about our affiliate policy, please click here.